Once you and your doctor are comfortable with the self-injection process, you will inject SIMPONI® under the skin, just once a month. Results may not be the same for everyone. Methotrexate is used as directed. 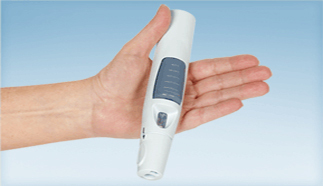 You and your doctor decide which injection device is best for you. There are 2 different devices you can use. Each one has been awarded an Ease-of-Use Commendation from the Arthritis Foundation®. This demonstration video is not intended to replace the Instructions for Use that come with your SIMPONI® medication. Please read those instructions thoroughly before injecting. Please read the Important Safety Information and Medication Guide, and discuss any questions you may have with your doctor. Some people prefer to inject with a prefilled syringe—or their doctor may recommend it. SIMPONI® gives you that choice, too. 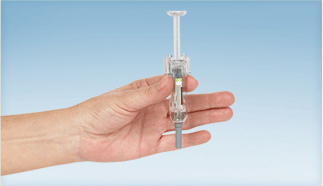 Once your doctor determines you can self-inject using the prefilled syringe, you can use the prefilled syringe at home.